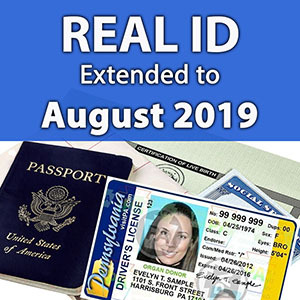 Pennsylvania has been granted a REAL ID enforcement extension through Aug. 1, 2019 by the U.S. Department of Homeland Security. As a result, Commonwealth residents will NOT face access issues when entering federal facilities or boarding commercial aircraft through at least that date. 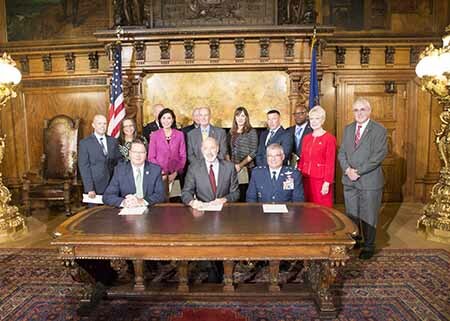 Starting in March of next year, Pennsylvanians will have the choice of applying for a REAL ID-compliant driver’s license and photo ID card. You may now pre-verify for REAL ID by submitting the required documentation as soon as possible, giving ample time for preparation. More information about what documents will be required is available by clicking here. My legislation that will require public school students to take a civics assessment before they graduate has been signed into law as Act 25 of 2018. 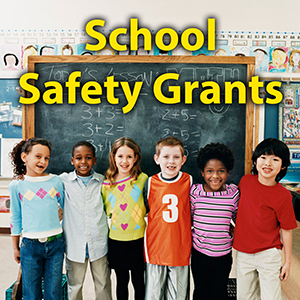 More than 100 Pennsylvania public schools have been awarded competitive Safe Schools Targeted grants to purchase safety and security-related equipment and provide for the training and compensation of school resource and police officers. 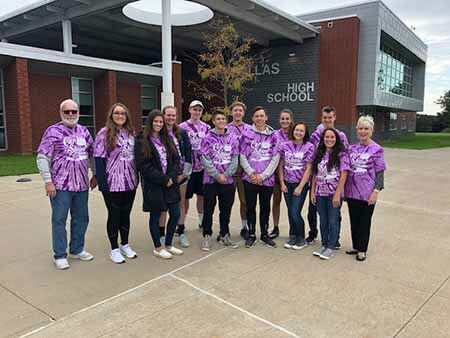 The list includes the Lake-Lehman Area School District, recipient of a $60,000 School Resource Officer Grant and the Tunkhannock Area School District, which received a $20,000 Program Grant. Please click here to view a list of what the individual grants may be used for. 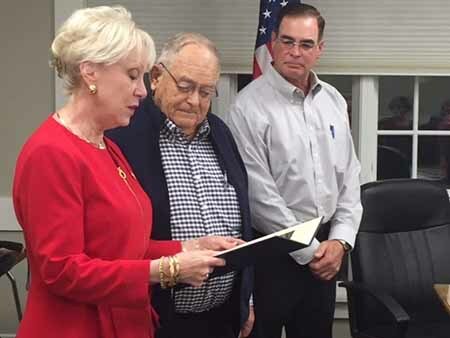 On Tuesday, I presented Dallas Township Supervisor Frank Wagner with a House citation in recognition of his 50 years of service with the municipality. Pictured with us is Frank’s son, Robert, who is also a township supervisor. My district offices will be closed Monday, Oct. 8, in observance of the Columbus Day holiday. 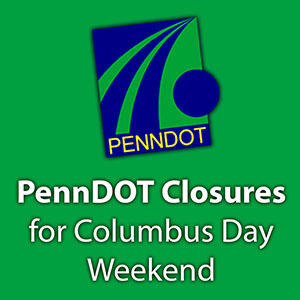 Also, all PennDOT driver license and photo centers, including its full-service center in Harrisburg, will be closed Saturday, Oct. 6, through Monday, Oct. 8. …. the Dallas Economics Club has another successful car show. It was a pleasure seeing so many area residents support the club. Congratulations club advisors Dennis Garvey and Tom Gilroy! If you’re headed to college in the 2019-20 school year…. 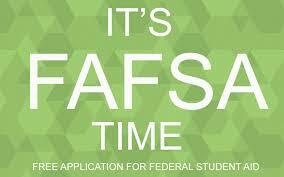 ….you may now complete the FAFSA (Free Application for Student Aid) form. Completing this application is an important step in applying for scholarships and grants, which don't need to be repaid, as well as student loans. Please click here for more information and an application. Approximately 13 Pennsylvanians die every day from an opioid overdose. That number alone should stop you in your tracks. Our community needs to be fully engaged if we are to defeat this lethal enemy. On Thursday, Oct. 18, I am sponsoring an “Opioid Update Event” in conjunction with Misericordia University. 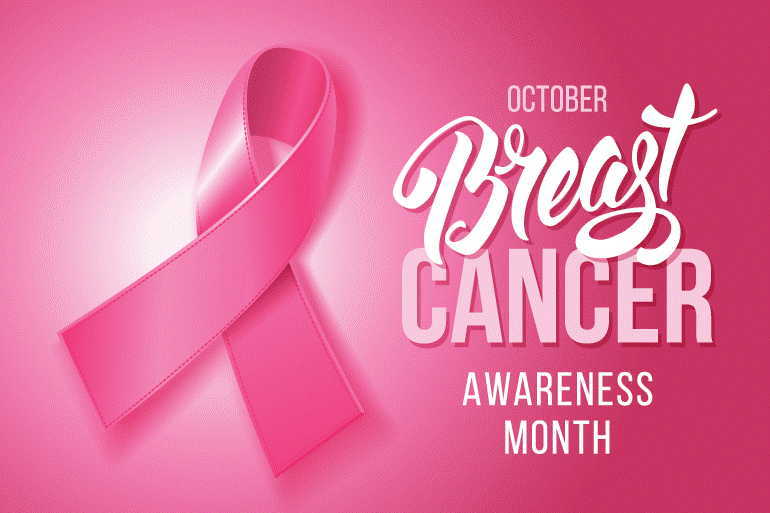 The event will be held at Insalaco Hall, 301 Lake St., Dallas, starting at 9:30 a.m., and feature Pennsylvania Secretary of Health Rachel Levine as the guest speaker. Members of the STOP and HOPE coalitions from Luzerne and Wyoming counties will be on hand, along with numerous agencies, to provide information. To reserve your seat, please call my district office at (570) 675-6000 or (570) 836-4777. Due to limited seating, reservations are recommended. 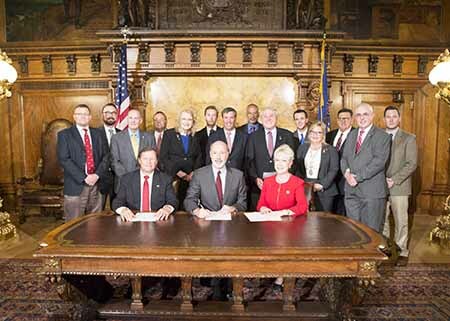 On Tuesday, legislation I cosponsored to create the Keystone State Challenge Academy was signed into law as Act 51 of 2018. The academy serves as a dropout recovery program to help at-risk young people earn a high school diploma or its equivalent and hopefully move on to higher education, employment or military service. The program is made up of a residential program and a post-residential mentoring period. Participants must be Pennsylvania residents who are not currently attending secondary school and who neither have a felony conviction nor are on parole or probation. They must enter the program voluntarily and are not charged a fee. Tuesday, Oct. 9 - Hunlock Township Municipal Building, 33 Village Drive, Hunlock Creek (9-11 a.m.). Thursday, Oct. 11 - Factoryville Borough Building, 161 College Ave., Factoryville (10 a.m. to noon). 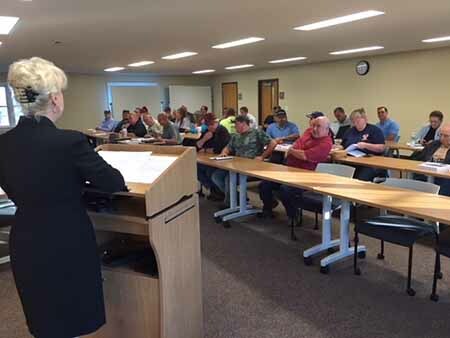 Thank you to all the emergency responders who came out for Wednesday’s seminar at the Back Mountain Regional E.M.A. Building in Lehman Township. We held the event in response to numerous questions my staff and I have fielded on grant writing, mandated training hours and instances of theft of association funds. 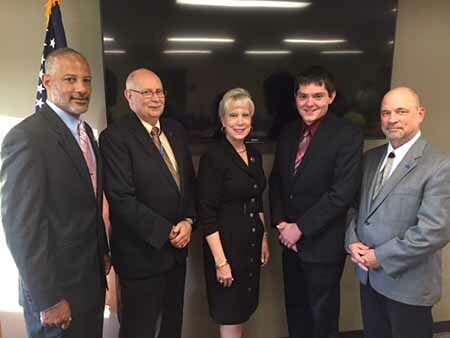 Pictured with me (from left) are Veterans Affairs and Emergency Preparedness Research Committee Analyst Sean Harris; Acting State Fire Commissioner Bruce Trego; Pennsylvania EMS Director Dylan Ferguson; and Dr. Fred Croop, professor of business and accounting at Misericordia University. 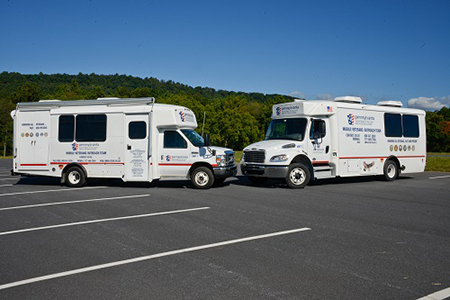 The Mobile Vet Center will visit our area on Monday, Oct. 15; and Monday, Oct. 22, from 10 a.m. to 2 p.m. in the Anytime Fitness/Ace True Value parking lot, 80 Hunter Highway, Tunkhannock. Clinical services will be provided on the 22nd. 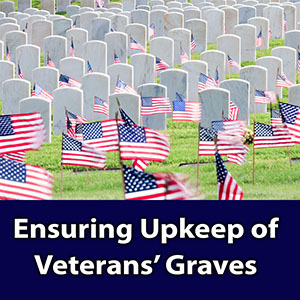 Service officers will provide information and assistance to veterans and family members who may be eligible for benefits through the U.S. Department of Veterans Affairs.